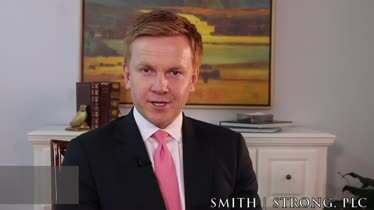 Van Smith Biography Hear Van Smith talk about his early life and the events that led him founding his own law firm. The Smith Strong Difference What makes Smith | Strong different? H. Van Smith practices family law and estate planning across central Virginia, including from his offices in both the Richmond metropolitan area and Williamsburg. Van also routinely provides strategic legal counsel to business owners, elected officials, professional athletes, entrepreneurs, and political consulting firms in long-term, retained attorney-client relationships. 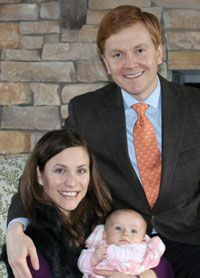 He is the sole owner of SMITH STRONG, PLC and a member of the family law sections of the Virginia State Bar, the American Bar Association, and the Virginia Trial Lawyers Association. Van is also a member of WealthCounsel a national organization of estate planning attorneys. Each week, Van's practice preserves financial assets and protects futures as individuals and their families navigate divorce/custody transitions, estate planning through the retirement years, and elder law by avoiding impoverishment from nursing home costs. Van has been featured several times in the Richmond Times Dispatch, Virginia Gazette, Daily Press, WRVA 1140AM, William & Mary News and UVA Today; he welcomes the opportunity to educate his community on divorce, custody, and family law issues in Virginia. In 2013, the Virginia legal community welcomed Van Smith’s first book in the Legal Strength Series: The Ultimate Guide to Divorce and Custody in Virginia: Quickly Get Back to Fully Living Your Life. And Van Smith and his team at Smith Strong were honored in 2013--and again in 2014, 2015, 2016--with Avvo's Client Satisfaction Award for Family Law, including divorce and child custody matters. In 2016, the American Society of Legal Advocates awarded Van Smith its Top 40 Under 40 Family Lawyers in the State of Virginia distinction. In 2015, the Richmond Times-Dispatch awarded its Readers' Choice Lawyer distinction to Van. And Virginia Business magazine awarded Van membership into "Virginia's Legal Elite" in 2015-20`7 in the field of Family/Domestic Relations. And the National Advocates awarded Van its prestigious Top 100 Matrimonial and Family Lawyers, a nationwide recognition. Van received the highly regarded Super Lawyers' Rising Star distinction in the area of family and matrimonial law in 2014 - 2017. In 2017, Attorney and Practice Magazine awarded Van its Top 10 Attorneys in Virginia in Family Law award. Van’s practice focuses on family law matters, including divorce, related tax and business issues, custody and support plans, property distribution, integrated solutions for wealth preservation and management post-separation, collaborative law, and civil litigation. Van also assists families with complex trust and estate planning as well as probate matters with clients based upon his deep roots from Richmond to Williamsburg, Virginia. Van routinely advises clients on trust analysis and administration, business and wealth succession planning, tax planning, asset preservation, and business valuation working closely with a family's accountant and financial advisor. Van Smith has been by far the best attorney you will every come across. Both he and his staff have been there for me every step of the way through a very tough litigation process. Van made me feel at ease throughout this process, and always made it a point to be both responsive; and had such superb knowledge of the law; that I was not left in a position where I felt that I was not in good hands. His skills in the court room far exceeded that of opposing counsel. Van took my life throughout my custody/divorce process into his own hands and placed very close attention to details that, in my experience, far exceeded that of other attorneys. This is by far the best attorney in the state of Virginia, and would highly recommend him to anyone going through a difficult divorce/custody battle. Negotiation of Settlement Agreements and Contract Disputes (often with political implications). Civil Litigation, when needed and appropriate. Contract, Memorandum and Agreement Drafting and Creation, written for acceptance and enforcement, with plain language, to complete the deal. Collections. Contract and Payment enforcement--through negotiation, and if needed, in-court litigation. Negotiation & Advisory Services, getting owners unstuck from thorny legal situations with vendors, collaborators and customers. Virginia Registered Agent Services for businesses and nonprofits. 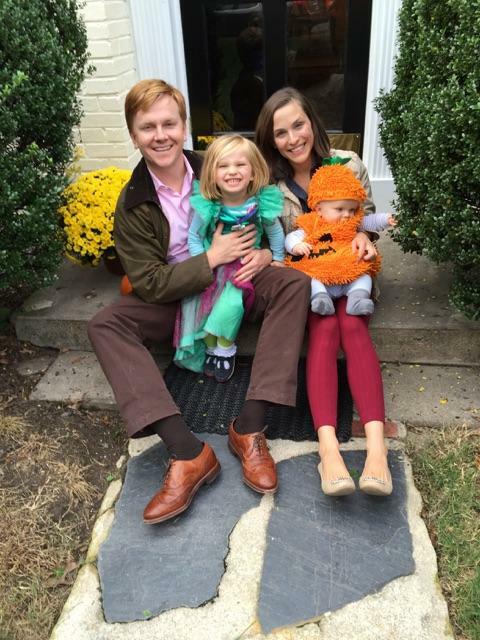 Van grew up in Chesterfield County, Virginia, and now resides in Goochland County with his wife Katie, daughter Farah, and son George. He attended William & Mary for undergraduate and law school, where he met his wife while studying in the law library in Williamsburg. 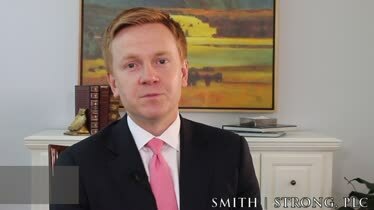 Prior to forming Smith Strong, Van worked under highly regarded divorce and family law attorneys in Northern Virginia with the law firm Sevila, Saunders, Huddleston & White; he began his legal career with Williams Mullen in Richmond, Virginia, practicing civil litigation for a wide range of corporate clients. 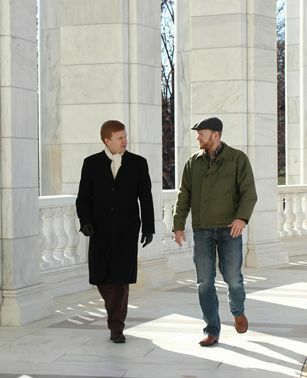 His experience also includes holding management positions at the University of Virginia Foundation, The College of William & Mary, and abroad with the U.S. Department of Defense, where he was named an Honorary Iraqi Firefighter for his service in the Coalition Provisional Authority throughout Iraq. Van has addressed groups from a few dozen to several thousand on a variety of topics, from working in a nonprofit serving war-traumatized children in Zenica, Bosnia to rebuilding the fire and ambulance services in Iraq. He has given inspirational messages to elementary and middle school classes as well as at high school graduations and baccalaureate ceremonies, as well as lectures on law and history in Virginia before university audiences and community organizations. He enjoys working to improve his clients’ lives, while also spending time with his family, playing tennis, hiking, cycling, being on the James River, fly fishing, and reading—beginning his day with coffee and a newspaper and ending it with tea and a good book. Van is licensed to practice law in Virginia, the United States District Court for Eastern and Western Districts of Virginia, and United States Court of Appeals, Fourth Circuit. To schedule an interview or private meeting, please call 804.325.1245 or 757.941.4298. So, Why did Van Smith become an attorney? I FIRST decided to become a lawyer at the age of 12, while tagging along with my grandmother, Martha Nemetz, the second paralegal McGuire Woods law firm ever hired. She worked in the Trust & Estates division of that storied law firm in Richmond, Virginia. The toughest and most highly regarded McGuire Woods tax attorney at that time was Carl Davis, and she worked for him. “Would you like to sit in on a meeting?” he asked. “Sure!” I responded. I recall using my knee to hoist myself up onto the bench in his office. My feet didn’t touch the floor. Immediately, I was taken with the view of Richmond, the river below, and the books stacked high everywhere around me. Two bankers came in for a meeting. And then looked at me. “Oh, it’s alright, he’s with me,” Mr. Davis chuckled. And I nodded, as if somehow in on the joke. I remember Mr. Davis’s arms dangling at his sides, slowly swinging like old barn doors, as he leaned back in his leather chair, when one of the bankers commented, “Well that means a lot from you, Mr. Davis, as many regard you as the finest tax attorney in the country.” My eyes caught the yellow legal pads and the desk that seemed to command the room like an aircraft carrier in a small harbor. He leaned over and said, “Well, Van, let’s walk these folks out.” I walked down the well-appointed halls, hung with old oil paintings with light floating across their scenes. I heard phones ringing and saw well-dressed men and women ducking in and out of various rooms, looking rushed, focused, thoughtful. I would return often to McGuire Woods as I grew up, and I was even trained in simulated “mock trials” led by their Ivy League associate attorneys, while I was still in high school. Attorneys there counseled me on which college to attend, how to prepare for the LSATs, how to handle the grueling, first year of law school, and on and on. From that moment, I endeavored to be good—and also to figure out what, precisely, that meant. After college, I was asked to serve in the Coalition Provisional Authority’s Ministry of Interior in Baghdad, Iraq. I traveled from one end of the country to the other, assisting with the reconstruction of the internal security apparatus of the country, in particular, rebuilding, equipping, and training personnel for roughly 214 fire and emergency service stations. I am probably the only red-headed Honorary Iraqi Firefighter in the world. I will never forget speaking with Dean Taylor Reveley III as he noted my acceptance into law school, but wondered if I shouldn’t take a year off—after all, a rocket attack hit the Green Zone during our call. I began law school at William & Mary a few weeks after returning from Baghdad. Each week, I imposed on then-law school Dean W. Taylor Reveley III, now president of The College of William & Mary, to meet with me for conversations that expanded my vision of a lawyer’s role in our society. I co-founded the George Wythe Society of Citizen Lawyers at William & Mary, in part out of lessons from these conversations. They were lawyers of sweeping scope, both because the law was sufficiently uncluttered and sufficiently stately in its evolution to permit a Renaissance approach. They were people of enormous grace and culture. Thoroughly Virginian in a courtly manner now rare, they were also citizens of the nation. Entrepreneurs splendidly rewarded for their efforts, they also understood the imperative of public service. Those who could serve were expected to and they did, even at severe cost to themselves. Those founding fathers were an extraordinary assembly. Their legacy is compelling. Law school, for me, was a time of intense preparation. Surrounded by the sheer volume of what I didn’t know was humbling and kept me reading, thinking and writing in the hushed quiet of the library. It didn’t surprise many, then, when I met my future wife in the law library at William & Mary in my third, and final, year of law school. It would have been one of the only places she could have found me. Our entire courtship occurred between study sessions, with longer and longer conversations, quietly held, between assignments across old oak tables flanking stacks of books. By year’s end, most assumed, as a result, that she was a law student, but in fact she was getting her master’s degree in higher education administration (graduating with a perfect, 4.0 grade point average). My grades that last semester dipped. I began my career with the third largest law firm in Virginia at the time, Williams Mullen, in Richmond, not one block from where I first got that early notion to become a lawyer. I represented international companies enmeshed in complex litigation matters—international corruption cases, intellectual property cases, large-scale construction litigation, even co-authoring Construction Damages, a chapter in a Virginia Continuing Legal Education book on construction law in Virginia. My wife and I came back from our honeymoon to a world turned upside down. One month later, I found myself laid off in late 2008, in the midst of a recession all too familiar to many of you. In the wake of that devastating emotional blow, I took a job with one of my mentors from William & Mary, Stewart Gamage, now at the University of Virginia. Her assignment was to convert billionaire John Kluge’s 3,000-acre horse farm in Charlottesville into a thriving center for interdisciplinary studies, hosting engaging seminars, retreats, and conferences. While there for two and a half years, I met one of my wife’s colleagues, who was going through a painfully long, drawn out, expensive divorce. We walked among the gardens of John Kluge’s former estate, Morven, while she recounted the behavior of her attorney, the endless legal bills, the months of anxiety and misdirection. She showed me the detailed billing statements, without the results she had been looking for in the first place. “Can you help me?” she pleaded. To maintain my license to practice law during this time, I had to attend at least twelve hours of continuing legal education, each year. I poured myself into family law, learning its nuances, and I outlined a plan that could not only help our friend, but that could be applied to a host of other situations. Who were these divorce lawyers? What made some great? How did they expertly negotiate through crisis? What pitfalls did they avoid that others were ensnared by? Family law practices are still, at root, boutique enterprises—how could you run one well? Suddenly books on negotiation, small business building, yes, and family law cases covered my nightstand. Washingtonian magazine produces, every other year, its list of top divorce lawyers in the D.C. metro area. I recall scanning that list, wondering aloud how the divorce firms were run from the inside. What differentiated them from one another? Not long after this study, I accepted a position with one of the firms that had made that list—Sevila, Saunders, Huddleston & White—in Northern Virginia. Attending hearings, depositions, and long trials with these leading attorneys was instructive and empowering. I had a chance to hone the trial skills I’d begun to develop at Williams Mullen. My wife and I were never completely comfortable in Northern Virginia, however. There was a pace, a level of traffic, and quality of life that never quite felt right or balanced to us. What if I started my own firm? I wanted it to be like the great firms I had grown up with—except focus on providing Legal Strength® to people in family law crises. The firm also had to be greater, bigger than just me alone, and allow for the inevitable growth that would come later. I selected the name SMITH | STRONG, PLC because it reinforced my mission—to provide Legal Strength®—and could grow with the firm, a brand name clients could rely upon in tough moments. Each case in our firm now includes a client services specialist, a highly trained paralegal, and an attorney—a team that ensures the clients are educated, prepared, and reach their goals for the representation—providing true strength. Clients become “members” of our firm if we accept their cases after meeting with them and ensuring we can add value to their lives and can reasonably accomplish their goals. Clients accepted into our firm’s membership become active partners in their own success, joining that client services specialist, paralegal, and attorney in establishing a plan of action to resolve their matters fairly. This team approach has led to incredible growth across central Virginia as we now serve clients in the Charlottesville, Richmond, and Williamsburg corridor, all places I have lived and continue to maintain close friendships. And this focus on complex, family law cases ensures that we’re prepared for each new client and his or her unique situation. Whether universities, regiments, or law firms, some institutions move powerfully from one generation to the next. Others find themselves becalmed, or they founder. Reasons for success or failure are legion. But those that prevail usually take strength from their past. They remember their heroes, their times of peril and triumph, and their basic beliefs. The importance of the past as a source of confidence and poise grows with the turmoil of the present. I hope the same is as true for you as it is for my law firm, SMITH | STRONG, PLC. The definition of a good lawyer, at last revealed, and understood. B.A. Government, The College of William & Mary, Williamsburg, Virginia, 2003. J.D., William & Mary School of Law, Williamsburg, Virginia, 2007. Book. Legal Strength Series. The Ultimate Guide to Divorce & Custody in Virginia: Quickly Get Back to Fully Living Your Life. Word Association Publishers, published 2013. Report. The Seven Essential Steps for Divorce Planning. Published 2012. 2018. ThreeBestRated.com, Top 3 Divorce Lawyers in Richmond, VA, Certificate of Excellence. 2018. Super Lawyers. Super Lawyers' Rising Star Award in Family & Matrimonial Law. 2018. Legal Elite. Virginia Business magazine. 2017. Legal Elite. Virginia Business magazine. 2017. Family Law "10 Best Attorney" Selection for Virginia. American Institute of Family Law Attorneys. 2017. 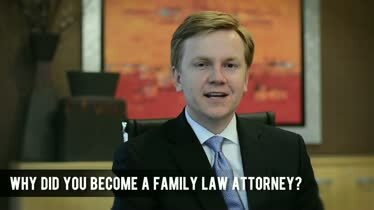 Top 10 Attorneys in Virginia: Family Law. Attorney and Practice Magazine. 2017. Super Lawyers. Super Lawyers' Rising Star Award in Family & Matrimonial Law. 2016. Legal Elite. Virginia Business magazine. 2016. ThreeBestRated.com, Top 3 Divorce Lawyers in Richmond, Virginia, Certificate of Excellence. 2016. The American Society of Legal Advocates, Top 40 Under 40 Family Lawyers in Virginia. 2015. Virginia Business magazine, Virginia's Legal Elite for 2015 Award & Membership. 2015. Avvo's Client's Choice Award. 2015 - Present. American Institute of Family Law Attorneys, Family Law "10 Best" Attorneys for Virginia. 2015. National Academy of Family Law Attorneys, Inc, Top 10 Attorney Award (Under 40). 2015. Richmond Times-Dispatch Reader's Choice Award, Lawyer, distinction. 2013, 2014, 2015. Avvo's Client Satisfaction Award for Family Law. 2014. National Academy of Family Law Attorneys Award for Top 10 Family Law Attorneys in Virginia, under the age of 40. 2014. "10 Best Under 40" Attorneys for the State of Virginia. American Institute of Family Law Attorneys. 2014. The National Advocates. Top 100 Matrimonial and Family Lawyers, a nationwide recognition. 2014 & 2015. Super Lawyers. Super Lawyers' Rising Star Award in Family & Matrimonial Law. 2007. William & Mary School of Law, Class of 2007, voted Most Likely To Become Law School Dean. 2004. Coalition Provisional Authority, Baghdad, Iraq. Honorary Iraqi Firefighter. 2003. William & Mary. Benjamin Stoddert Ewell Award for Community Leadership, "selected on the basis of their outstanding participation and leadership on campus and/or community activities, and on the basis of their service and contribution to the school or community." Advanced Issues in Family and Divorce Law Seminar. National Business Institute. Henrico, Virginia. October 2018. Virginia Continuing Legal Education Course. Advanced Family Law Seminar. National Business Institute. Fairfax, Virginia. May 2018. Continuing Legal Education Course. Complex Assets in Divorce. National Business Institute. Henrico, Virginia. October 2017. Continuing Legal Education Course. Two Phases of Estate Planning: Secure Retirement & Avoid Going Broke in Long Term Care. Retirement Training and Coaching Services, Inc. February 2017, Virginia Department of Military Affairs, Henrico, Virginia. Two Phases of Estate Planning: Secure Retirement & Avoid Going Broke in Long Term Care. Retirement Training and Coaching Services, Inc. July 2015, Fort Lee, Richmond, Virginia. Honest Advice and Tips on Investing for Your Retirement. Cornerstone Assembly of God Church. Presented 2013 in Chesterfield, Virginia. The Role of the Citizen Lawyer in Society. William & Mary School of Law. Presented 2006. The Two Wars in Iraq. Williamsburg Kiwanis. Williamsburg, Virginia. Presented at the Williamsburg Lodge and other venues, 2004. Van is licensed to practice law in Virginia, the United States District Court for the Eastern and Western Districts of Virginia, and United States Court of Appeals, Fourth Circuit. First Baptist Church in Richmond, Virginia hosts a highly regarded Divorce Recovery Workshop beginning each fall. Past clients have reported to me it was a transformational experience and combatted the feeling of isolation, by meeting alongside others that had recently gone through the emotional toll of divorce. For other clients, who do not identify with a faith-based counseling offering or are too far from Richmond (such as my Williamsburg clients), I will recommend various other counselors and therapists based on their unique situation and need--the key is to productively move through the transition, which cannot happen in my view, on your own after work or after the children are put to bed. We're here for you, and we've got your back as you get back to fully living your life. And for our estate planning clients, my best advice is don't delay effective planning--you owe it to your family to intelligently craft how your wealth is transferred to the next generation. Our firm provides honest, straightforward advice that ensures your estate fully benefits those family members left behind. You've worked incredibly hard your entire career--your legacy should include thoughtful planning and effective wealth transfer to the next generation. Trust and estate planning is a foundational element to multi-generational wealth. There I was in 2004, with the Fire and Emergency Officials of Iraq, meeting to plan the first Iraq National Fire & Emergency Services Conference. The meeting was held on the second floor of Saddam Hussein’s former palace in Baghdad. The floor below us in that meeting held Saddam's ‘throne room’ with a mural of scud missiles and white horses heading towards a Jerusalem/Israel under attack. It has been over ten years since I left Iraq, where I worked with the Department of Defense. My staff now comments on court days I still go into “Baghdad Mode,” where I become notably quiet, focused, aggressive. I’m only in court about once per week, but when Baghdad Mode is required for my clients, I’m a happy warrior.